BSF Jobs Recruitment Notification 2018.Border Security Force inviting applications for the positions of Group-C posts namely constables in generator mechanic, line man & generator operator departments.Interested and Eligible candidates can apply for the positions. Total number of vacancies to be filled in BSF is 65. Matriculation with ITI in respective trade can apply for the constable post. Between 18 to 25 years candidates can apply for the post. Age relaxation for SC/ST is 05 years, OBC is 03 years. Candidates have to attend written exam to be selected. Mode of applying for BSF Constables recruitment is through offline mode. 01st October 2018 is the last date to submit applications. Examination fee for applicants is Rs.100 /- and there is no fee for SC/ST/ woman. 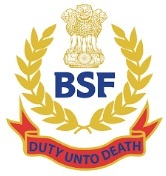 http://www.bsf.nic.in/ is the link to download application form.